Postville is one of the smaller communities in Nunatsiavut. Located deep in the beautiful Kaipokok Bay, you will believe you are in another world as you approach Postville. The English River, which is one of the finest and most well-known salmon rivers in Nunatsiavut, is an important area for residents. Postville has a boardwalk and gazebo for those who love the outdoors. There is a Kaipokok Community Centre which has a workout room, a gymnasium, and a boardroom. The Community Centre is where most of the Postville recreation activities take place. There is also a Nunatsiavut Government Building in the community which has friendly and helpful staff. Katrina Anthony is the Imappivut Community Coordinator for Postville. She is from Makkovik but has been living in Postville for the past 2 years, where Katrina and her partner have started a family together. They have an adorable young son together. In the summer of 2016 she was lucky enough to attend a Students on Ice Arctic expedition. 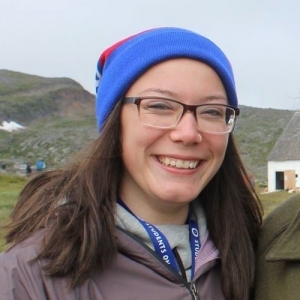 During this trip, Katrina spent two weeks on a ship with different people from around the world learning new things and traveling to places such as the Torngat Mountains National Park, Hebron and Greenland. Although Katrina is still unsure what field she would like to study in post-secondary education, she is looking forward to the experiences this position has to offer and is excited to work with the rest of the Imappivut team over the next 6 months.